Indonesia’s transport ministry has found faults in two other Boeing 737-MAX 8 jets, including a cockpit indicator display problem which an analyst warned may be similar to one reported in the crashed Lion Air Jet. The ministry said it is inspecting 10 of the newly released jets owned by Lion and flagship carrier Garuda, as authorities analyse data from a recovered black box that may help explain why flight JT610 plummeted into the Java Sea, killing 189 people on Monday. Few details have been released, but the ministry said it had looked over half a dozen jets so far and discovered that one had a problem linked to its cockpit display while another had a glitch in a jet stabilisation system. Indonesia’s Tempo news website published a minute-by-minute summary of what it said were the conversations between air traffic control and the pilots of Monday’s fatal flight, who reported a “flight control problem” and were unsure of their altitude. Asked about the accuracy of the report, National Transportation Safety Committee deputy head Haryo Satmiko said it had “similarities” with the information received “legally” by investigators. If there is a problem with the new Boeing 737-MAX 8 jets, that will have implications for flyers around the world including Australia. It’s understood Virgin Australia has 30 Boeing 737 MAX 8 planes on order, with the first of them due to arrive in November next year. He added that any problems with the new jet’s pitot-static system — which determines speed and altitude among other measurements — will be key to the probe. The single-aisle jet, en route from Jakarta to Pangkal Pinang city, is one of the world’s newest and most advanced commercial passenger planes. Budget carrier Lion Air’s admission that the doomed jet had a technical issue on a previous flight — as well its abrupt fatal dive — have raised questions about whether it had mechanical faults specific to the new model. It has since come to light that the pilot on the plane’s previous flight on Sunday from Bali requested to return to the airport not long after takeoff but then reported the problem had been resolved and continued onto Jakarta. Indonesia’s National Transportation Safety Committee said it was interviewing people who flew on the plane the day before the fatal crash. Over the says since the crash, tireless rescue workers hauled seats, wheels and other parts of the crashed jet from the depths off Indonesia’s north coast, as divers scoured the seabed for the fuselage. “There is a lot of little debris, plane wheels, and seats — all totally destroyed and in pieces,” Isswarto, commander of the Indonesian navy’s search-and-rescue division said. On Thursday, one of the plane’s black boxes was recovered, and authorities are hunting for the second one. The black box could offer investigators their best chance of discovering why the jet crashed. The devices help explain nearly 90 per cent of all crashes, according to aviation experts. Passengers’ remains are being sent to hospital for DNA testing, with four passengers identified as of Friday. The accident resurrected concerns about Indonesia’s poor air safety record which until recently saw its carriers facing years-long bans from entering European Union and US airspace. There were nearly 40 fatal aviation accidents in Indonesia over the past 15 years, according to the Aviation Safety Network, including a 1997 crash that killed 234 people, the country’s deadliest plane accident. 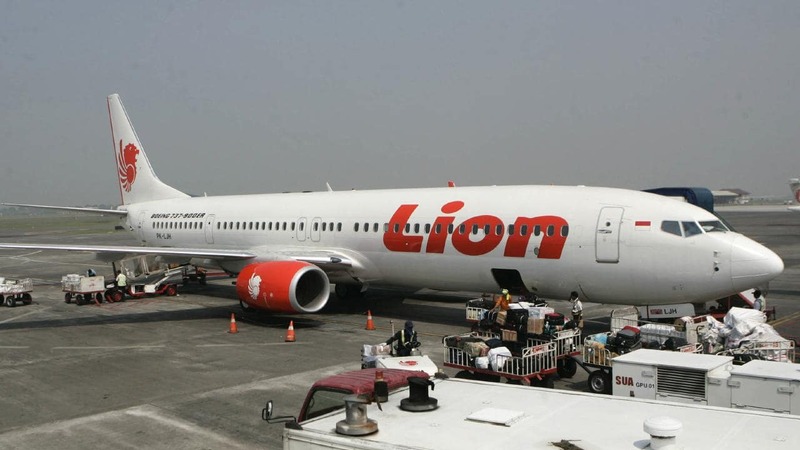 Lion Air — which has had a number of incidents including a fatal 2004 crash — capitalised on an explosion in Indonesia’s domestic air travel market. But concerns have been raised about pilot shortages in the industry and growth outstripping Indonesia’s strained regulatory and technical resources. “The growth of the industry here has happened too fast,” Mr Sudibyo said.